Ear Guard. 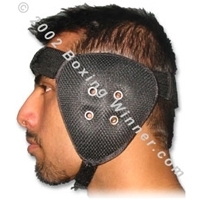 Molded, Made of Cordora Material: Ear Guard, made of Cordora Textile Material, shock-absorbing Eva Padding padding. 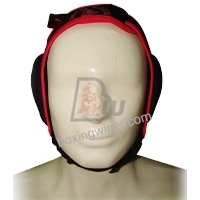 Forehead, Backhead and Chin Velcro nylon strap closure, This guard only covers Ears, Four holes on each side of ventilation This Guard is especially designed for Wrestling, but it is also being used for Mixed Martial Arts, Vale Tudo/UFC, Kick Boxing, Muay Thai and also for other martial arts sports. Molded Ear Guards . 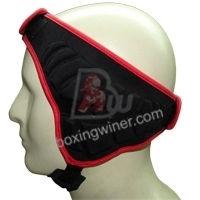 Made of Neoprene, shock absorbing embossed padding. 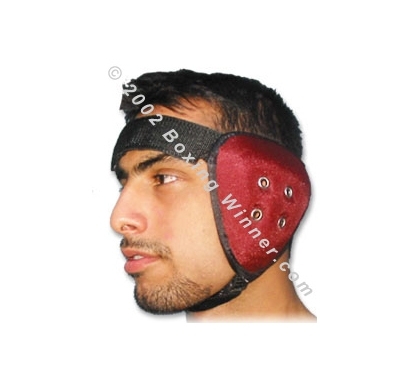 Molded Ear Guards . 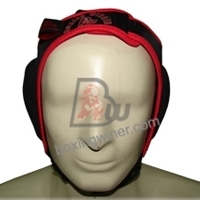 Made of Codura cloth with cups ear protection.